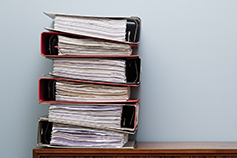 For KPMG clients and stakeholders we always strive to deliver the greatest benefit from our cooperation. We always strive to deliver the greatest benefit from our cooperation. We have repeatedly gained this prestigious award for the most desired employers in our field – the Universum Award 2016 in the Auditing and Accounting category. The awarding organisation gathered data from November 2015 to February, while 4000 students of economic faculties took part in the survey. We made it to the top of the ranking for companies in our field for the third year in a row. KPMG placed third in the Most Desired Employer in the Czech Republic category of the Most Desired Company 2016 ranking, according to a survey of AISEC Czech Republic. We received the gold medal award in the main Responsible Big Company category of the Top Responsible Company Awards of 2016. 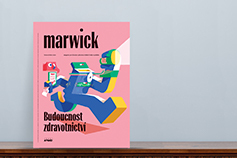 Marwick, a magazine for the clients and friends of KPMG, received several prestigious B2B magazine awards, including the Golden Semicolon and gold in the Fénix content marketing competition, making it the best B2B magazine in Czechia. Marwick can be read free of charge at www.marwick.cz. Echo, our internal magazine, in 2016 scored several professional successes, twice placing first in the Golden Semicolon and the Fénix content marketing awards. Our newsletter Tax and Legal Update won twice third place in the section Newsletter of Fénix content marketing award and Golden Semicolon 2016. The study The Czechs 1990-2015 won in the B2B category at the 11th annual Czech PR awards of the Association of Public Relations Agencies (APRA). Find out how much you know about the Czechs in a quiz inspired by the study at www.cesi25let.cz. In 2015, we placed third in the services for businesses category in the ranking of the 100 most admired companies, Czech Top 100. For the fourth time in a row, KPMG received the Sustainable Firm of the Year award, conferred by the International Accounting Bulletin as part of the IAB Awards.